Boulder photo tours. Location Scout. 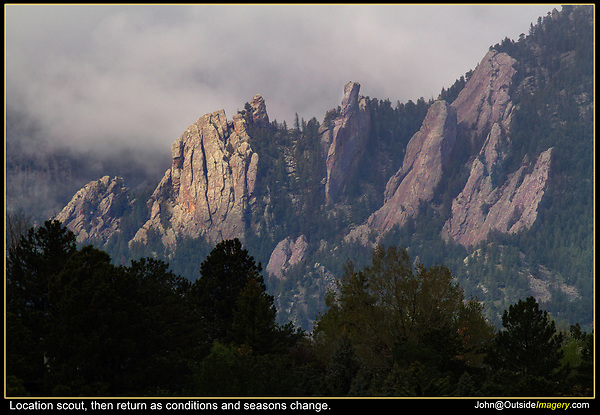 The subject, here the Flatirons rock formation, are framed and bathed in light. The bottom trees create a strong frame with a diagonal line. Conversely, the top clouds make a diagonal, overhead frame. I've returned to this spot more than once. Fairview High School parking lot.